Here is where you will find all things crafty. I am a quilter/crafter in my “spare” time. I hope to be able to share projects that I am working on, have finished, or tips and tricks that I have found to make making things more enjoyable. Please feel free to comment with any suggestions you may have that help you out too. I’m always looking for new ways of doing things. So I’ve gotten in to knitting these past few months and have made a few things. A couple of shawls as gifts, a lap blanket to keep my feet warm, and now these headbands have become my latest project. 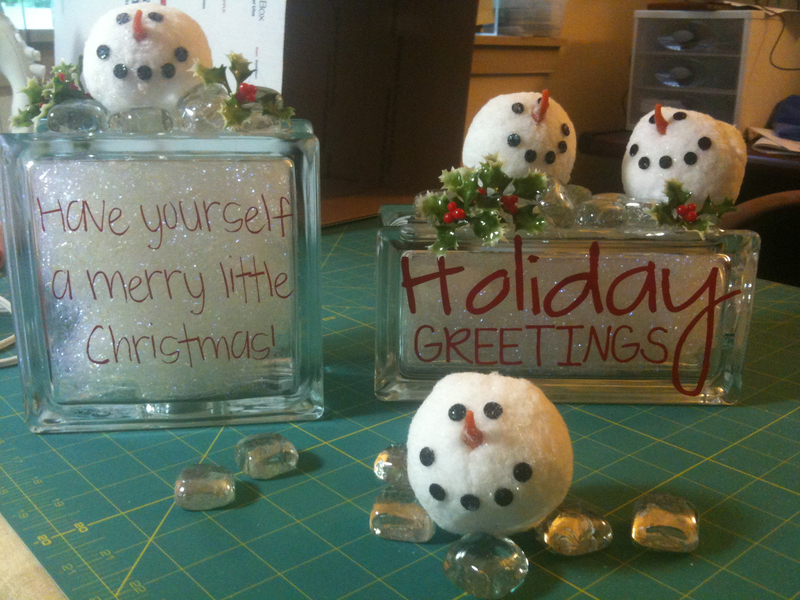 They are so quick and I’ve got lots of great ideas for embellishing them too. This is the only one I have a picture of so far. I’ll post more as I finish. Here are a few more of the “work in progress” projects that I’ve got going. This one is a “square in a square” pattern. I’ve been working on (meaning it’s been sitting in the closet) for almost 2 years. 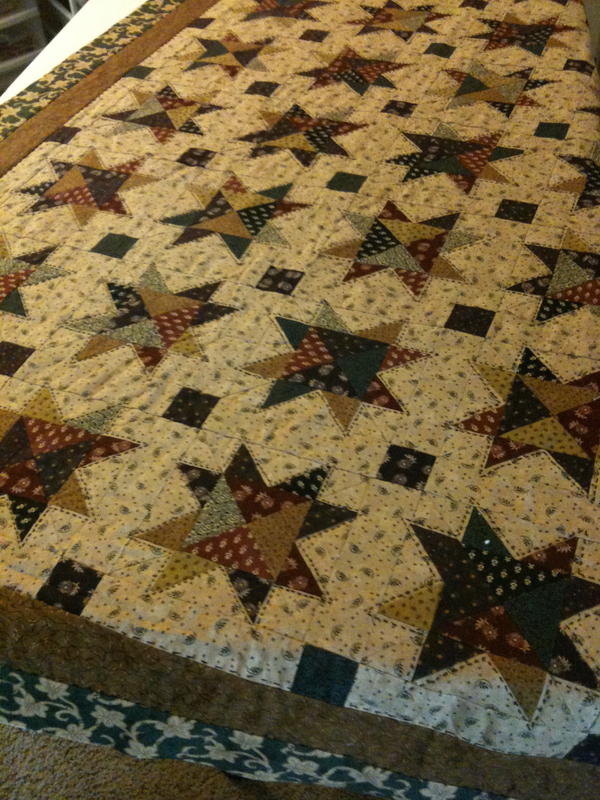 I machine pieced it, but decided to hand quilt it. Since we’ve been a one car family, on the days I don’t have the car I work on projects. 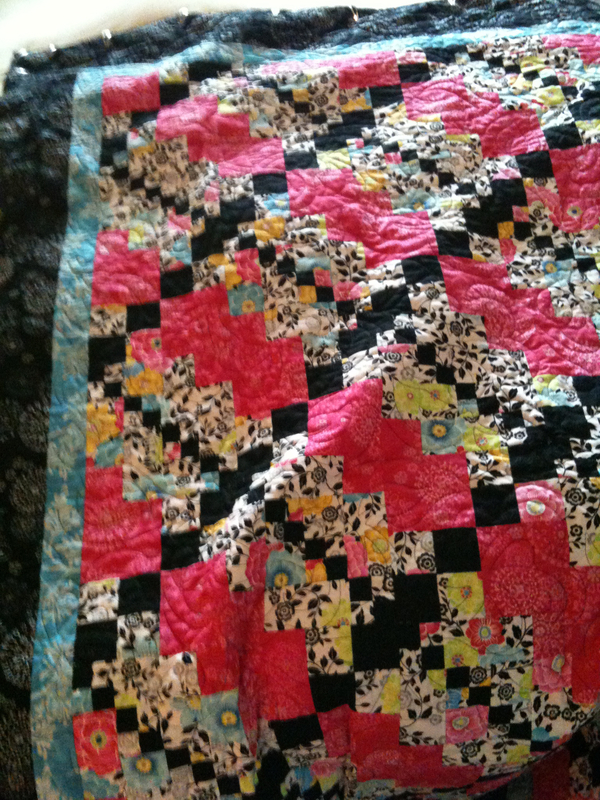 Yesterday was one of those days and I finally finished the quilting. Now all I have to do is add the binding and it will be done. Another project that has been in a pile. This was a table runner I made from some leftover blocks from another project. Still trying to figure out how I should quilt it. And here we have a “table topper”. I made this at my Aunt’s house a few years ago, and yes, it has also been in that pile in the closet. Not sure why it’s taken me so long to get around to this one. It’s a quick pattern and quick to quilt too. So that’s what I’ve been doing. What are you working on? Now that things have settled down, I thought I would share some of my works in progress. It’s been a while since I’ve had the opportunity to sit in front of my sewing machine or do much in the way of other creative projects, but I did manage to squeeze in a few over the past few months. Mystery Quilt – this was a class I took more than a year ago. I had finished the top, but decided it needed something more. I added two borders and took it to be quilted in July. Thankfully I was able to pick it up before we moved and I am now getting around to finishing the binding. 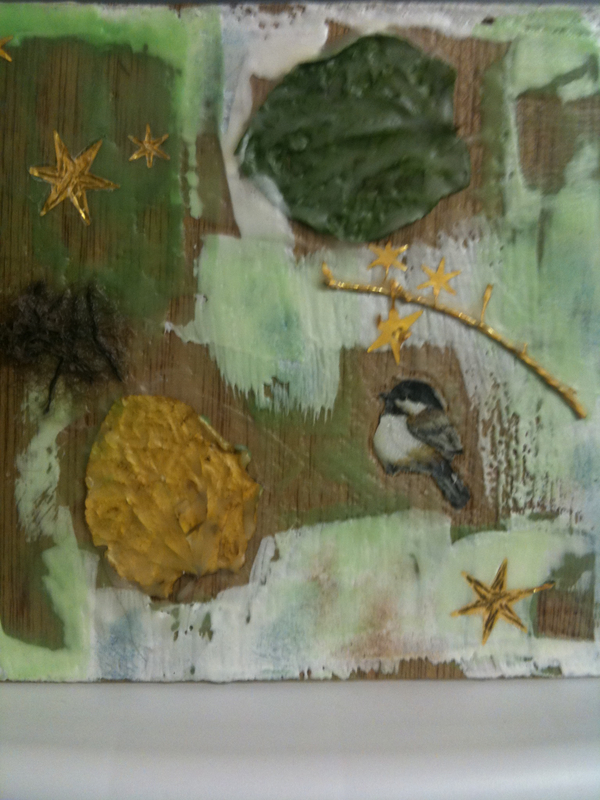 Next is my newest hobby to discover – Encaustics. This is the first time I’ve ever tried it and it was so much fun. I can’t wait to do more. And finally, just a quick little something. 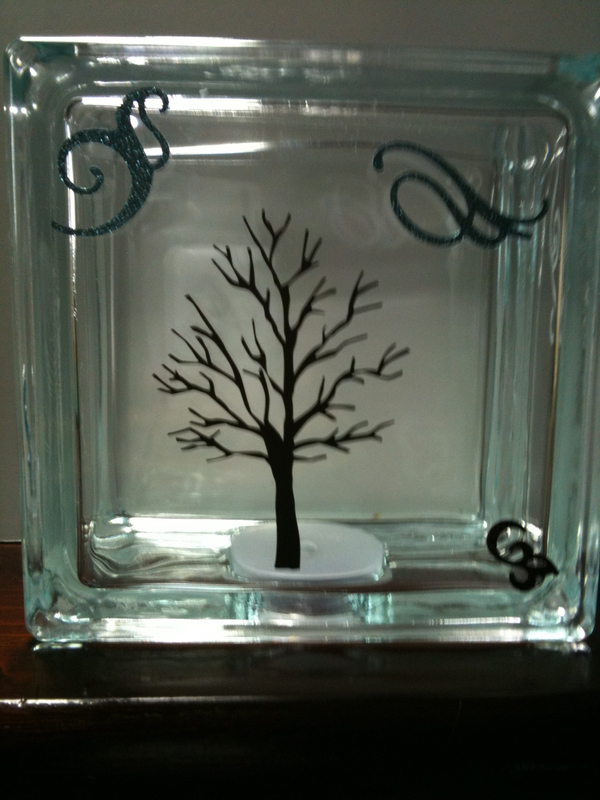 I still need to add the lights inside, but it’s a glass block, embellished with stickers and a vinyl transfer. I saw this idea a few years ago and it’s always stuck with me. It makes a great night light, shelf decoration, whatever. You can put a ribbon around it and make it look like a Christmas present under a tree or change out the lights and ribbon and use it for any other holiday too. The possibilities are endless. This one is called Lucky Stars. It was the first time I used batik fabrics. It was a lot of fun and an easy pattern too. 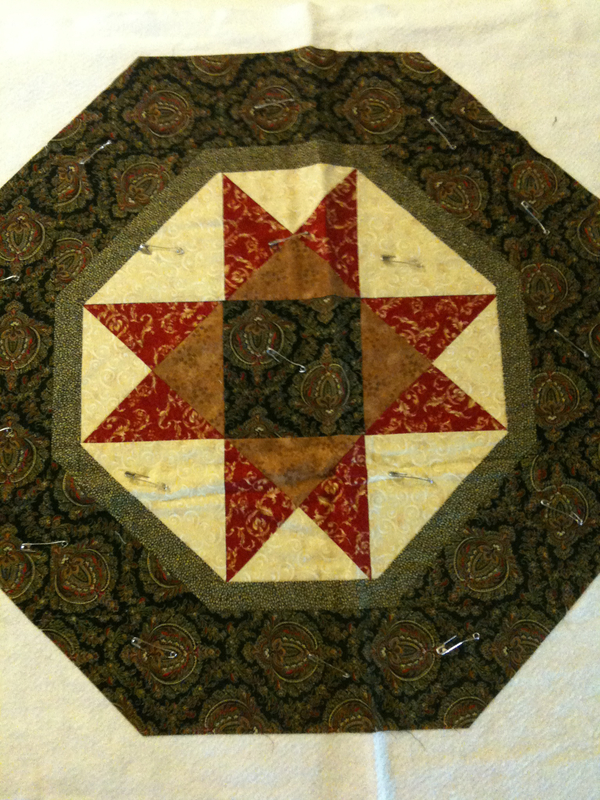 This one is a log cabin quilt, done in shades of red and white/tan. It’s hard to see in the picture, but each center square is a black and white heart. 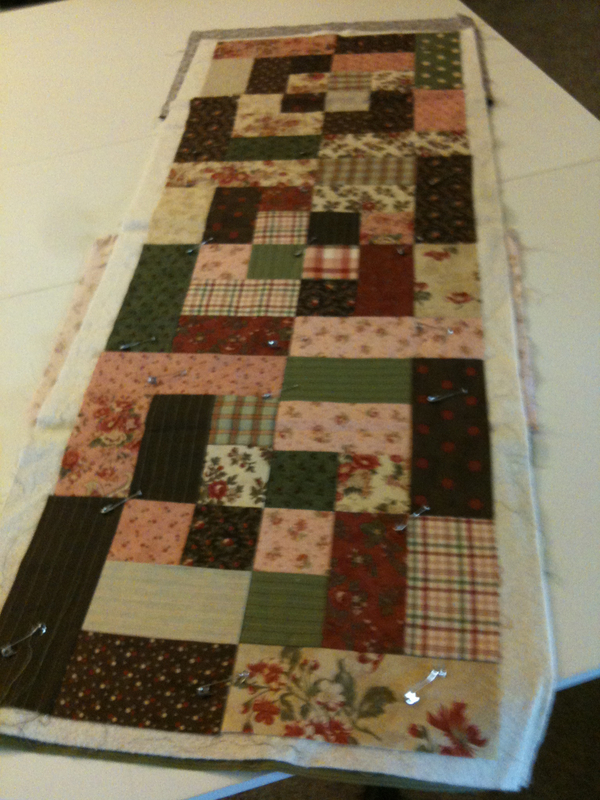 It’s been the only time I’ve fussy cut anything for a quilt, and probably will be the last time for quite some time. So creative!!! I admire crafty people. And very much like your tree glass thingy. Thanks so much. Crafting & creating are what keep me sane.